Grand Rapids, MI: Wm. 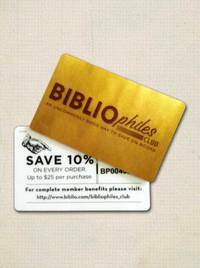 B. Eerdmans Publishing Co., 2010. 5th or later Printing. Soft cover. Near Fine. 8vo - over 7¾ - 9¾" tall. Wm. B. Eerdmans Publishing Co., Grand Rapids, MI. 2010. Softcover/Trade Wraps. 21st edition by line number. Edition revised in 1977. Book is tight, square, and unmarked. Str. Edmund Fitzgerald Edition. Book Condition: Near Fine; rubbing and light surface scratches. No DJ. Pictorial Wraps. Wraps are not bent or folded; spine is not creased or split. 384 pp. 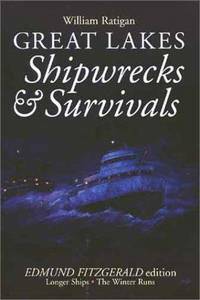 A breathtaking chronicle of the most spectacular shipwrecks and survivals on the Great Lakes. This book covers the liner Eastland, freighter Mataafa, the Bradley, and the Edmund Fitzgerald in 1975 on Lake Superior. The stories told re-create accurately the scenes as gallant captains and crews challenged the inland seas. A clean and very presentable copy. Keywords: Edmund Fitzgerald, shipwrecks, Lake Superior, Great lakes, Bradley, Eastland, Mataafa, maritime disasters, ship sinkings, weather storms.